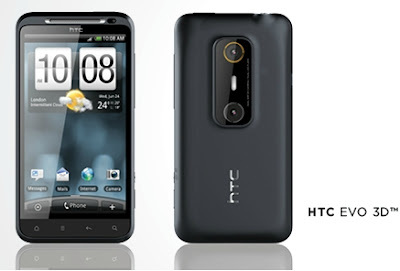 Is this the GSM/HSPA HTC EVO 3D? In late March, HTC France let word slip, right after the announcement of the EVO 3D headed to Sprint (CDMA/WiMAX) in the US, that a GSM/HSPA variant would also be launched in France. So far there hasn't been much to follow up on the Tweet until today when HTC Launched their new developer site HTCdev.com which included one particularly interesting picture. This EVO 3D is clearly different than the one announced by HTC headed to Sprint. For one the red accents are gone, the chrome bands around the capacitive buttons are also gone and the front facing camera next to the speaker grill is somewhat differently placed. GSM Version overlayed with CDMA version. Given that a GSM/HSPA variant seem more and more likely, what does this mean for Canadians? I can't say for sure, but I would keep my eyes out for this device hitting Canadian shelves.